Happy Cinco de Mayo! Or I should probably say Feliz Cinco de Mayo! Either way…it’s May 5th…Return of the 5th…and yes…Cinco de Mayo. It was a few months ago. I was wandering around Whole Foods, attempting to stick to my tight food budget and epically failing at it. But…I was trying. As I was making my way up to the registers, my roommate pointed out a table where a nice gentleman was handing out samples of vegan tamales. Vegan. Gluten Free. Tamales. I had to have this in my life, so I bee-bopped over that way and tried a sample. Cathy was right behind me. He was just removing some fresh tamales from his steamer. He plated a few bits and one bite sold us both. The nice man was actually the founder of the local Don Tamal…and pointed out that we could purchase them in the freezer section and directed us that way. We were already a bit over budget, but we couldn’t pass this up. They were REALLY good. So, the purchase was made. I took the Don Tamal Veggie Vegan Tamales home and placed them in the freezer. Where they have been ever since. But…as I said…it’s Cinco de Mayo. Time to get our tamales on. 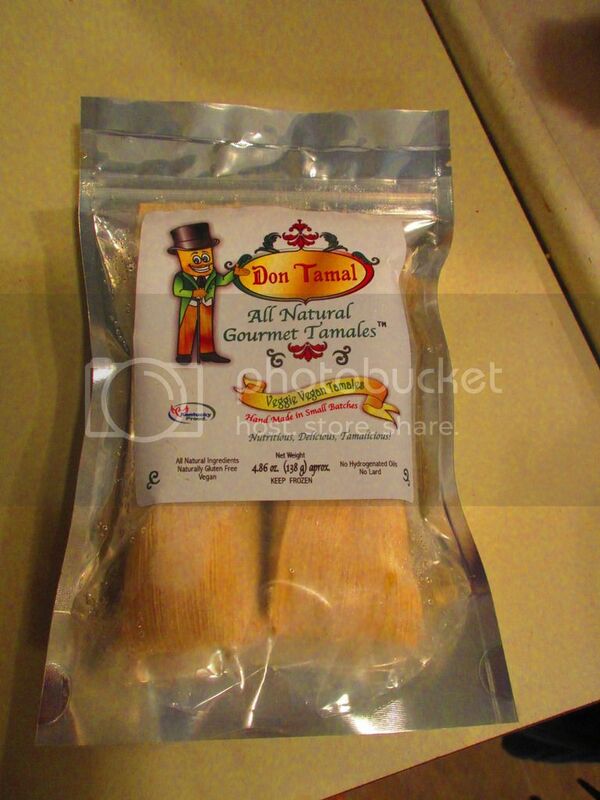 Don Tamal is a local business based out of Louisville, Kentucky that specializes in…TAMALES. This business strives to provide authentic, all natural, Mexican tamales for people on-the-go who love to eat healthy without sacrificing enticing flavors and textures. Their philosophy is that all people should have the chance to eat delicious food that is free of additives, preservatives, chemicals, trans fats, growth hormones, and genetically engineered ingredients. The reward…traditional food of better quality. In fact, the wife of the founder, Marcela, pursued a PhD in Food Science and Engineering and came up with ways to make flavorful food without sacrificing the texture or flavor. Same traditional fare…better ingredients. A healthier choice. Oh yeah…they had my attention. There are two ways to cook up the frozen tamales. You can use the preferred method of using a veggie steamer on the stove top. Which, if I had a veggie steamer, I’d have done. But…I don’t. Luckily…it’s not required. I used the microwave method, where in I wrap the two tamales that come in the package in a very tamp paper towel and place them in a microwave safe container with a lid. I microwaved these for about 3 minutes and 15 seconds (the package says 2.5 minutes, but my microwave is old and not very powerful), and then let it stand and steam for about 1 minute. Then, discard the husk and enjoy! It really doesn’t get much easier than that. I served mine up with some tortilla strips and salsa. Yummy! Let me tell you…these are fantastic. I forgot what drove me right over to that freezer in the first place. Holy cow, these were just amazing. The masa was soft and creamy. The veggies that were mixed in tasted so good. And the different veggies stuffed inside…those were just…yummy. Despite having habanero pepper in it, it wasn’t spicy. Which is good, or my roommate (Cathy) would never have let me live it down. Superb. Not bad at all for reheating from frozen. I was beyond impressed back at Whole Foods and tonight just re-introduced to me the reason why. After one bite, I started pointing at it with my fork and finally managing a, “We’re getting more of these tamales” in between forkfuls. It was gone way too soon. Let’s look at the ingredients that go into the Don Tamal All Natural Veggie Vegan Gourmet Tamales, shall we? These tamales are made from corn dough (corn with lime, vegetable base (organic carrots, organic celery, organic onion, organic tomato, salt, organic and gluten free soy sauce, organic cane sugar, organic maltodextrin, yeast extract, organic potato starch, organic onion powder, organic garlic powder, and organic spices), poblano pepper, organic carrots, organic corn, purple onion, yellow onion, olive oil, organic palm oil, cilantro, organic kale, fresh garlic, spices, aluminum free baking powder, habanero pepper and vinegar. 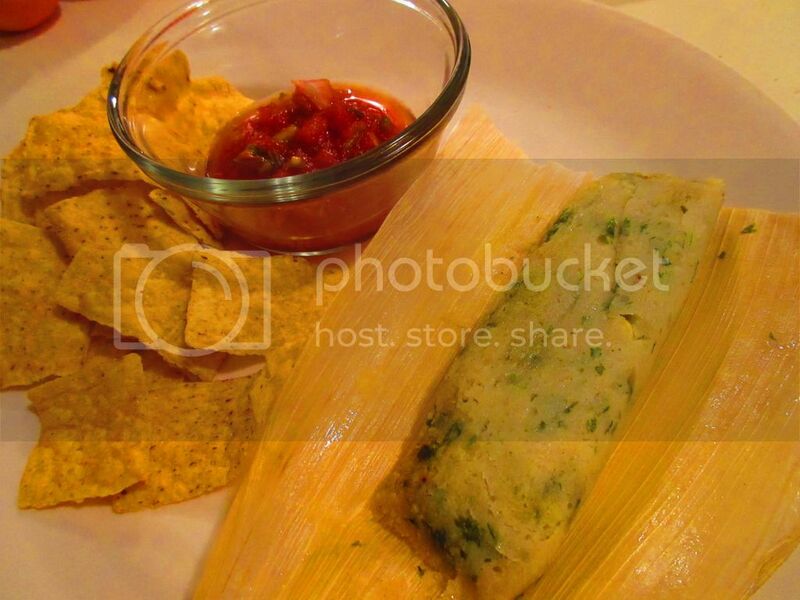 These tamales are made without hydrogenated oils or lard. And, yes, they are certified vegan. As this is a local business selling these, I don’t have the nutrition information…but…I can tell you…they are YUMMY! Nutritious. Delicious. Tamales. Happy Cinco de Mayo indeed! Thanks, Don Tamal. I’m heading to Whole Foods for more this weekend! This entry was posted in Clean Eating, Dough, Entree, Food, Frozen, Gluten-Free, Local, Mexican, Products, Review, Vegan, Vegetables, Vegetarian by The Celiathlete. Bookmark the permalink.